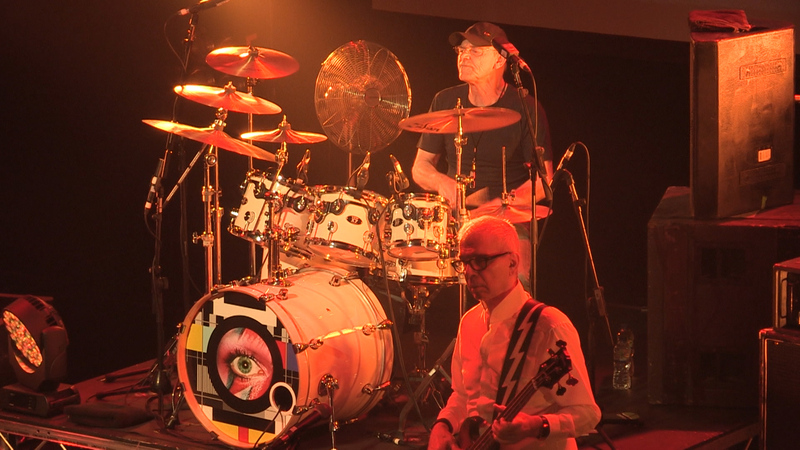 Holy Holy featuring Tony Visconti, Woody Woodmansey and Heaven 17’s Glenn Gregory played Aylesbury in April. The first time that original Spiders from Mars drummer Woody Woodmansey has played the Ziggy album in Aylesbury since the classic David Bowie show on 15 July 1972 – 44 years ago. Bowie formed the Spiders from Mars (Trevor Bolder, Woody Woodmansey and Mick Ronson) in the tiny Borough Assembly Hall Friars Aylesbury dressing room on September 25th 1971. The Spiders all hailed from Hull, so to mark the city being designated ‘City of Culture 2017’ two concerts with Holy Holy were organised, but this time doing the iconic Ziggy Stardust album. Both sold out in a day. Holy Holy are Tony Visconti on bass, Woody Woodmansey on drums, Glenn Gregory on vocals, James Stevenson from The Alarm, Gene Loves Jezebel, Gen X, The Cult and Chelsea on guitar and Berenice Scott and Jessica Morgan on keyboards.